With holiday lightings and fairs, Trans-Siberian Orchestra and Mannheim Steamroller, football, hockey and monster trucks, there's lots to do in Colorado this pre-Thanksgiving weekend. KUSA — It's beginning to look a lot like Christmas in Colorado, this pre-Thanksgiving weekend. 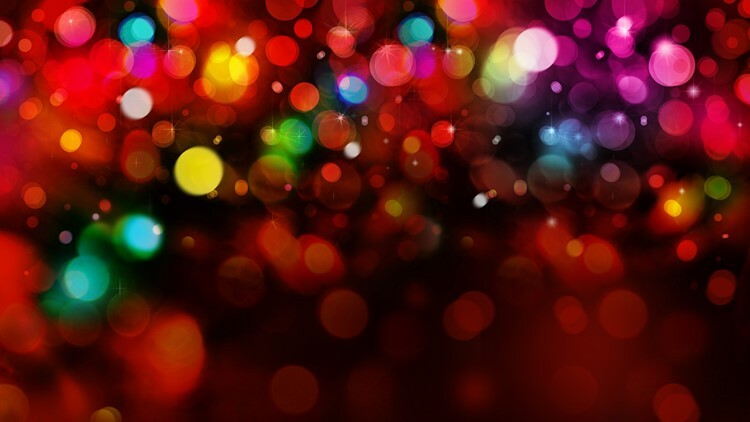 Holiday lighting ceremonies are scheduled in Castle Rock, Colorado Springs, Estes Park, Loveland and Fort Collins. 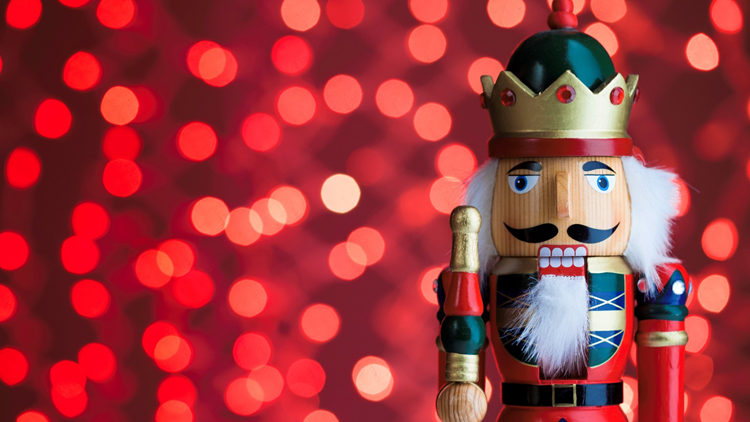 Christmas staples Mannheim Steamroller and Tran-Siberian Orchestra are also in the Centennial State this weekend and holiday fairs and festivals are in full swing. And the Buffs and Rams play their final home games of the season on Saturday. No matter where you live in Colorado, there's a unique and festival fall event near you this weekend. For 36 years, 9Cares Colorado Shares has been the region's largest single-day food drive, collecting food for more than 100 Colorado food banks. Join us Saturday from 7 a.m. and 2 p.m. at any of our four metro Denver locations to make a food or monetary donation. Food and toiletry donations will be collected to be distributed by Food Bank of the Rockies. We will also be collecting household items for ARC Thrift Stores, toys for the Denver Santa Claus Shop and coats for the Coats for Colorado drive. 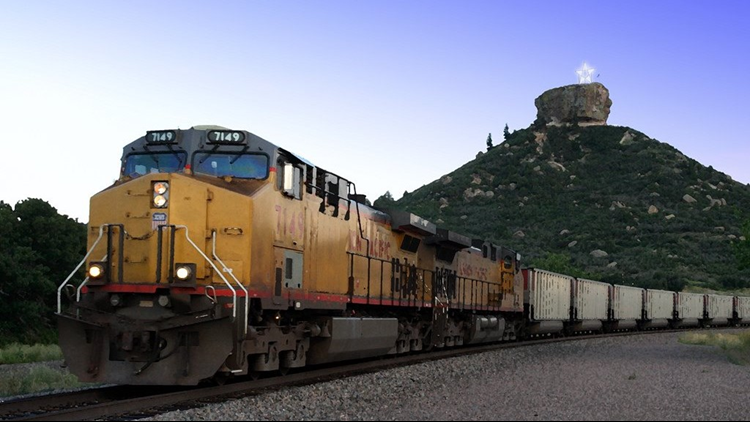 In addition to our locations in Englewood, Aurora, Thornton and Littleton, there are remote locations throughout Colorado. Nearly one in 10 Coloradans struggle to get enough to eat, according to Hunger Free Colorado. 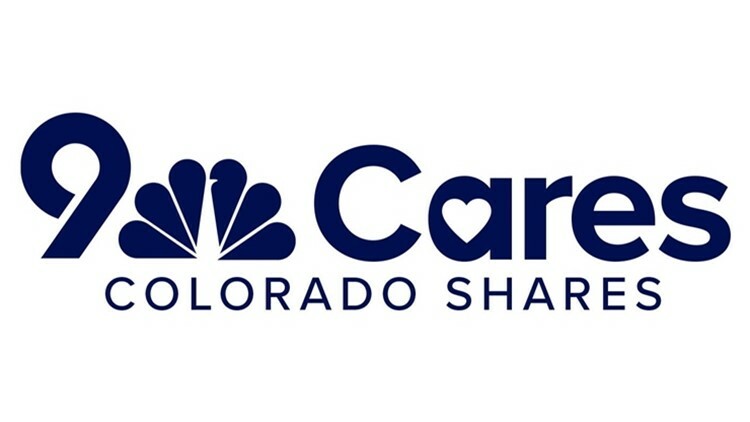 We hope you can stop by 9Cares Colorado Shares this Saturday. The race that ends with a huge slice of pie is back. The Pumpkin Pie 5K and 10K kicks off the holiday season right with family-friendly run/walk at Denver's City Park. 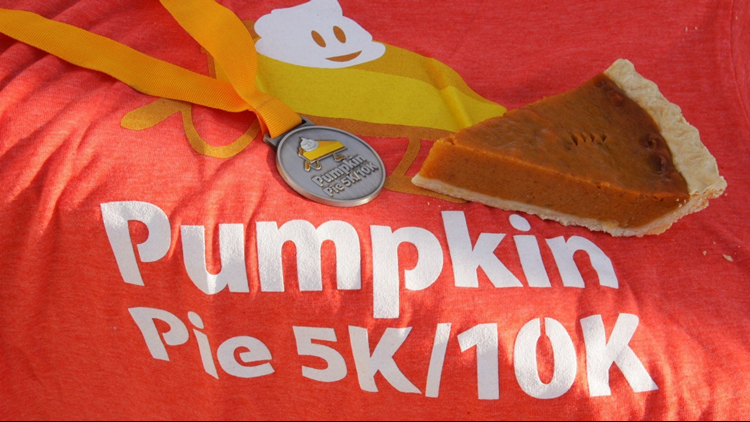 All finishers will get a large slice of pumpkin pie, as well as a race shirt, finisher's medal and finish line expo access with vendors and food. The runs take place Saturday, with the 5K starting at 8:45 a.m. and 10K at 9:30 a.m. Race registration can be completed online. The "Lighting of the Star" has been a Castle Rock tradition since 1936. The annual event arrives Saturday in downtown Castle Rock. 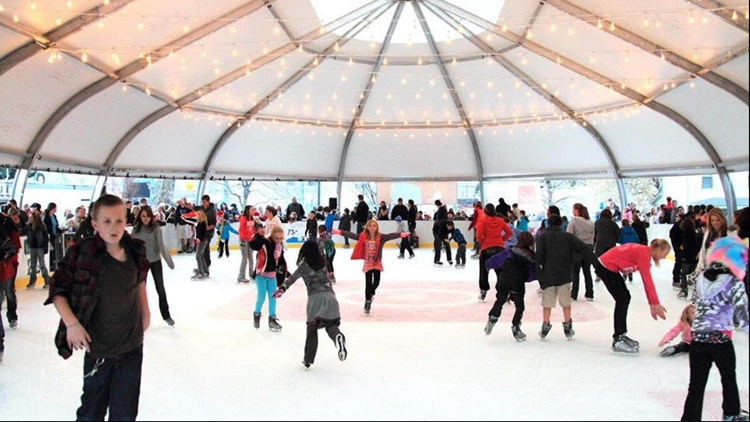 This year's Starlighting offers hot chocolate, non-profit booths, strolling entertainers, live entertainment, outdoor ice skating at the downtown rink and a visit from Santa Claus himself. The annual celebration takes place from 2 p.m. to 7 p.m., with the Castle Rock Starlighting ceremony beginning at 5 p.m. A symbol of Castle Rock for over 80 years, the Castle Rock Star will remain lit until the end of the National Western Stock Show in January. Castle Rock's Rink at the Rock opens Saturday in time for the annual Castle Rock Starlighting. The rink is a community recreational rink in the heart of downtown Castle Rock. Open skating hours are Thursdays to Sundays, with extended hours around Thanksgiving and Christmas. 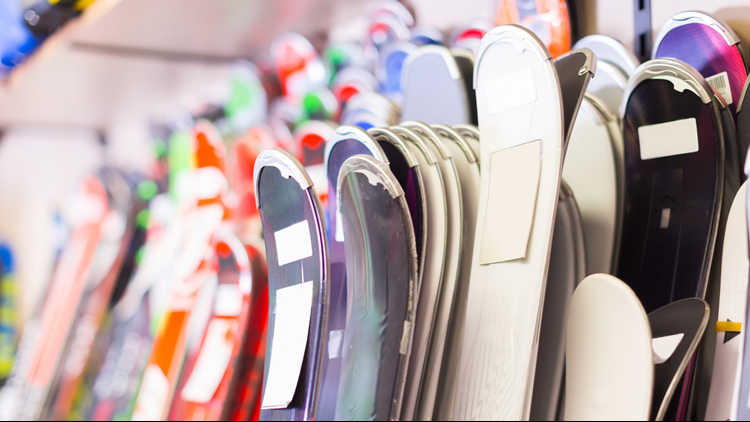 Skate rentals are available at the rink. Rink at the Rock will be open through President's Day weekend in February. 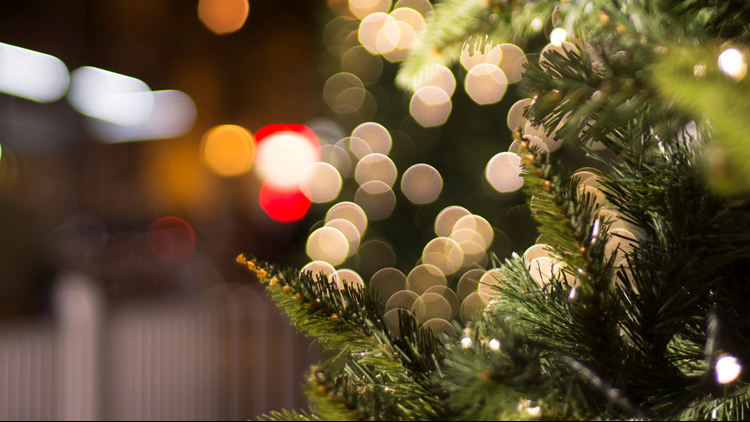 Colorado Springs' annual Tree Lighting Ceremony is this Saturday in the heart of downtown. This Colorado Springs celebration includes ice skating, kids' activities, a photo booth, live music from the Colorado Springs Children's Chorale, a visit from Santa Claus and the lighting of the tree. The ceremony is free to attend, but some activities may have a small fee. The tree lighting celebration runs from 4:30 p.m. to 6:30 p.m. Saturday at Acacia Park. The 8th Annual Tree Lighting Ceremony kicks off at 3:30 p.m. Saturday at the George Hix Riverside Plaza in Estes Park. The celebration begins with hot chocolate, cookies, crafts and some characters from Estes Park's Catch the Glow parade. Santa Claus will be taking photos from 3:30 p.m. to 5:30 p.m. 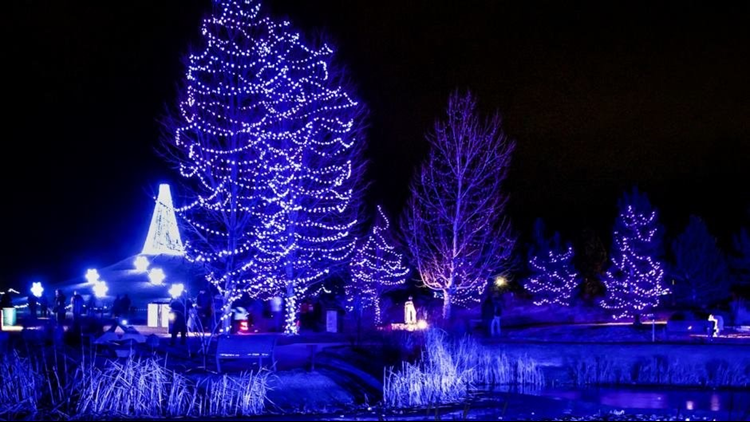 The fun celebration leads up to the Tree Lighting Ceremony and flipping of the switch at 5:30 p.m.
Winter Wonderlights, a walkable holiday lighting attraction, opens this weekend at Loveland's Chapungu Sculpture Park at Centerra. Guests will be mesmerized at the more than 60,000 holiday string lights and twinkling bulbs, LED mappable snowflakes, illuminated African stone sculptures and 30-minute music and light shows every night starting at 5:30 p.m. Winter Wonderlights opens Friday at 5 p.m. with special performances by Spinphony, debuting their new Christmas album. 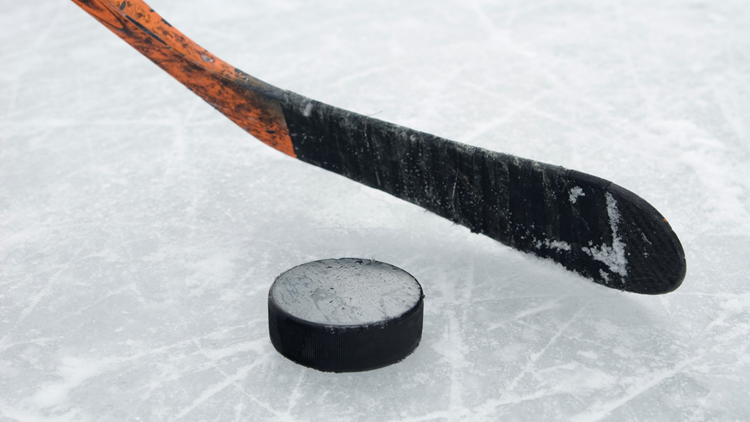 Slapshot, the Colorado Eagles mascot, and the Colorado Eagle Chicks will be there Friday from 5 to 6 p.m. with free glowsticks for the first 200 guests. Djembe Jive, an African drumming performance, and Loveland Orchestra will perform this Saturday night. Anheuser-Busch Fort Collins Brewery "flips the switch" for the holidays with their annual Brewery Lights this weekend. The public is invited to the 5:30 p.m. ceremony on Thursday when the brewery's general manager and a Budweiser Clydesdale will turn on the lights. 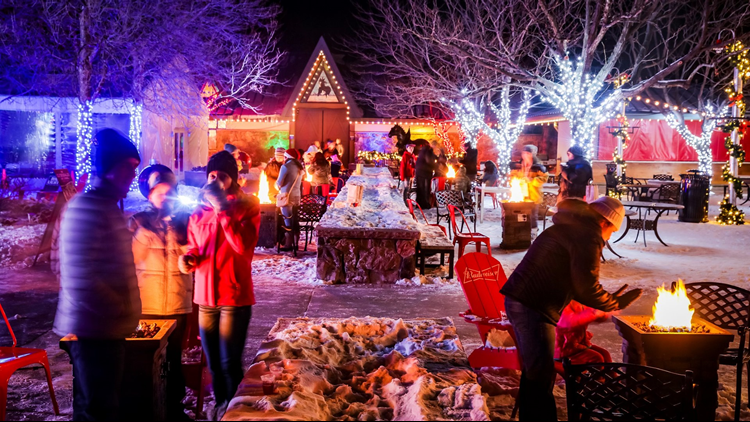 Brewery Lights is free and open to all ages and will be open every Thursday to Sunday through Dec. 30 with a synchronized light show, s'mores, tree maze, food, gifts and more. This year Brewery Lights has new family-friendly activities and theme nights, beer samples for guests 21 and older, delicious food and festive entertainment. A Seven Falls tradition that began in 1947 continues Saturday with the 4th Annual Winter Lights event. 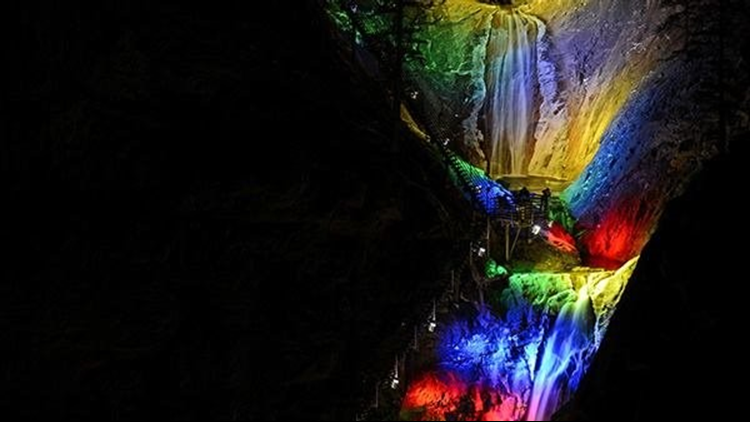 More than 100,000 individual lights will line the path leading to the Falls and multi-colored lights will illuminate the cliff faces of the Pillars of Hercules and the Falls. The spectacular sight is a photographer's dream for holiday family photos. Festivities, which begin at 10 a.m. Saturday, include a kids scavenger hunt, hot chocolate, a visit from Mr. and Mrs. Claus and more. A portion of each Winter Lights ticket will support The El Pomar Empty Stocking Fund and Springs Rescue Mission. Reserve your tickets at Broadmoor.com. 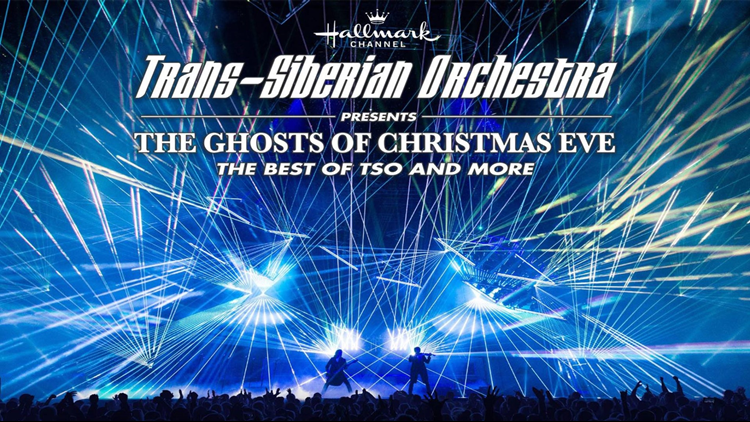 Holiday rock and roll group Trans-Siberian Orchestra is in the Centennial State this weekend with concerts planned in Colorado Springs and Denver. The “Ghosts of Christmas Eve” winter tour is the band's 20th annual tour. Trans-Siberian Orchestra will stop at Pepsi Center in Denver on Saturday and Broadmoor World Arena in Colorado Springs Sunday. Founded in 1974 by Chip Davis, Mannheim Steamroller has sold 29 million albums in the Christmas music genre. The group has kicked off its 2018 Christmas tour with two stops planned in Colorado this weekend. The Mannheim Steamroller Christmas Tour will perform at Colorado Springs' Pikes Peak Center on Thursday and at the Budweiser Events Center in Loveland this Friday. 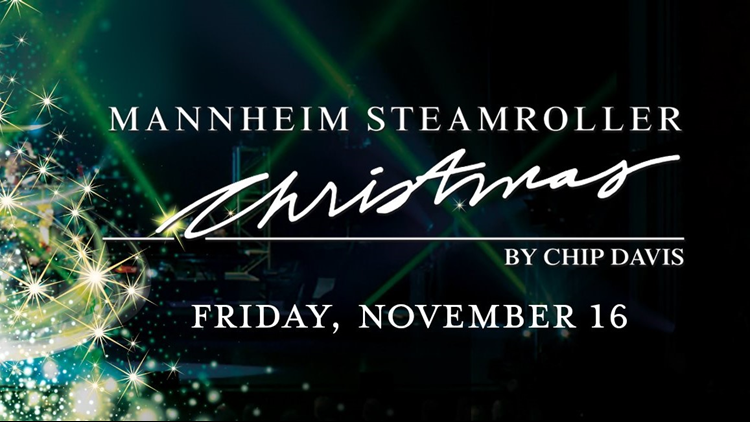 Two additional Mannheim Steamroller performances are scheduled for Saturday in Cheyenne. Tickets for Friday's Loveland stop are available at TREventsComplex.com. 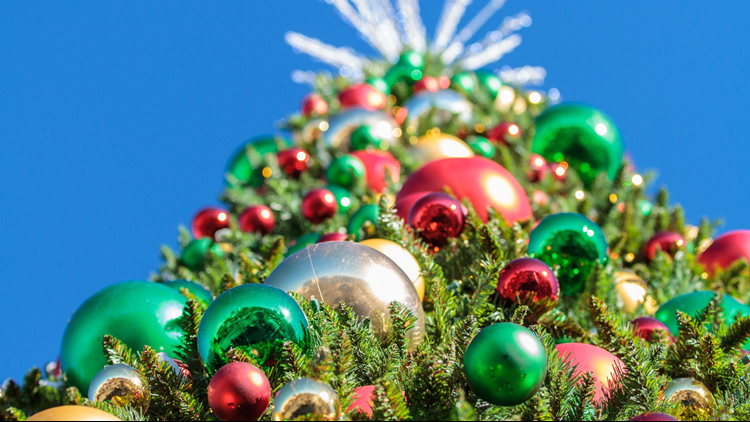 Pikes Peak Hospice & Palliative Care's 34th Annual Trees of Life Tree Lighting Ceremony takes place Saturday at the Colorado Springs Pioneers Museum. Loved ones' names provided at the ceremony will be read as trees are illuminate in remembrance. The ceremony also offers local music, complimentary refreshments and sponsorships opportunities for 29 six-foot pre-lit artificial trees. The tree lighting ceremony starts at 5 p.m. Saturday. Visit PikesPeakHospice.org for more information. Elf – The Musical, the newest production at the Arvada Center for the Arts and Humanities, unoffically opens this weekend with preview performances scheduled for Friday, Saturday and Sunday. Based on the 2003 movie, Elf follows Buddy the Elf on his journey to find his family and revive their Christmas spirit. 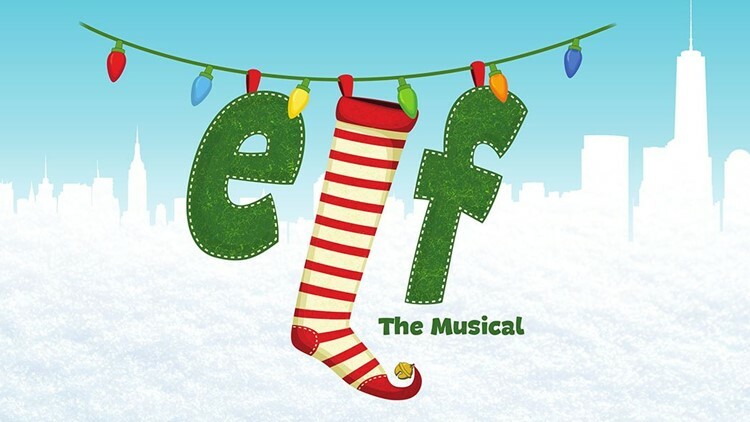 Elf – The Musical plays through December 23. For tickets, head to ArvadaCenter.org or call 720-898-7200. One of the largest holiday celebrations in the west opens Friday at the National Western Complex. 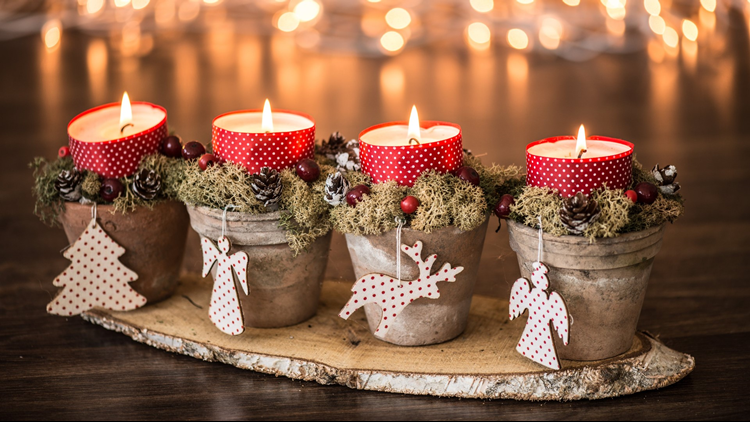 The 32nd Annual Holiday Food & Gift Festival features hundreds of exhibitors, vendors, artisans and crafters with one-of-a-kind jewelry, clothing, wood, music, photography, art, crafts, food, toys, Christmas décor that can't be found anywhere else. Rumor has it Santa Claus will also make an appearance at the festival to help with the perfect family photos. 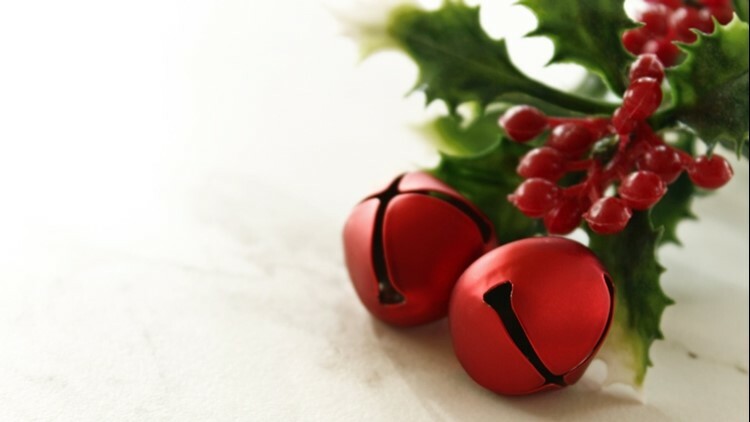 Holiday Food & Gift Festival runs Friday to Sunday with tickets (and discount coupon) available at HFGF.com. The two-day Mollie McGee's Holiday Market takes place at the Boulder County Fairgrounds Exhibit Building. The market, which runs Saturday and Sunday, will have over 160 booths and vendors. Admission is $4 and kids 12 and under are free. This event was first published by MileHighOnTheCheap.com. For more local deals and discounts go to MileHighOnTheCheap.com. The Windsor Rec Center will be home to this weekend's Christmas in Windsor show. 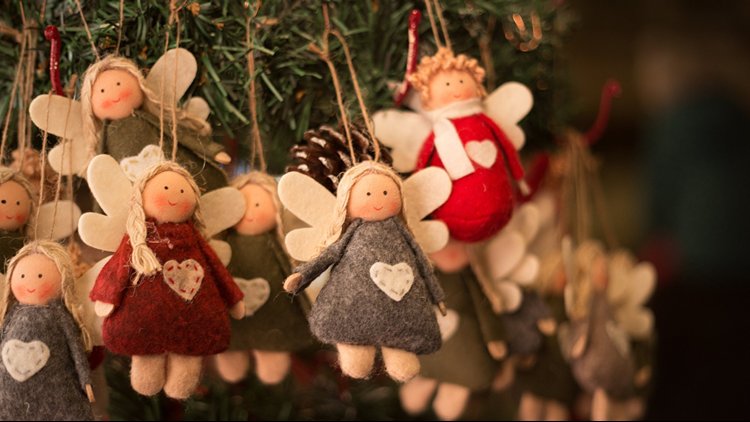 The event offers more than 100 vendors selling handmade arts, crafts and holiday items. Admission is just $4 on Saturday and Sunday. This event was first published by MileHighOnTheCheap.com. For more local deals and discounts go to MileHighOnTheCheap.com. 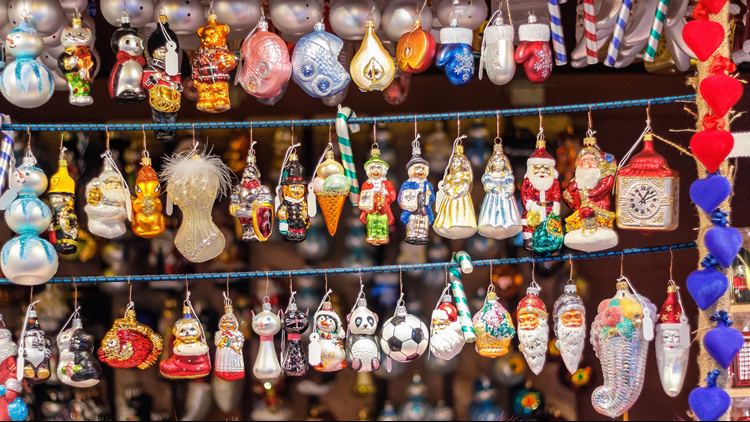 The Christkindl Market at downtown Denver's Skyline Park features vendors from Germany, Ukraine, Ireland and other countries, as well as local artisans, offering high-quality, handcrafted gifts such as traditional hand-carved wooden figurines, handmade candles and ornaments. 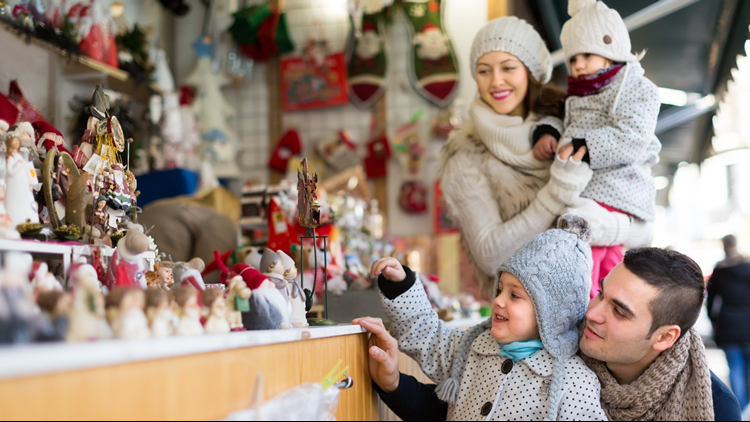 Traditional German food, warm Glühwein (hot spiced wine), and traditional Christmas carols and live German music make the market a full holiday experience. The free Denver Christkindl Market, located on the 16th Street Mall across from the Clock Tower, opens Friday and will be open through December 23. 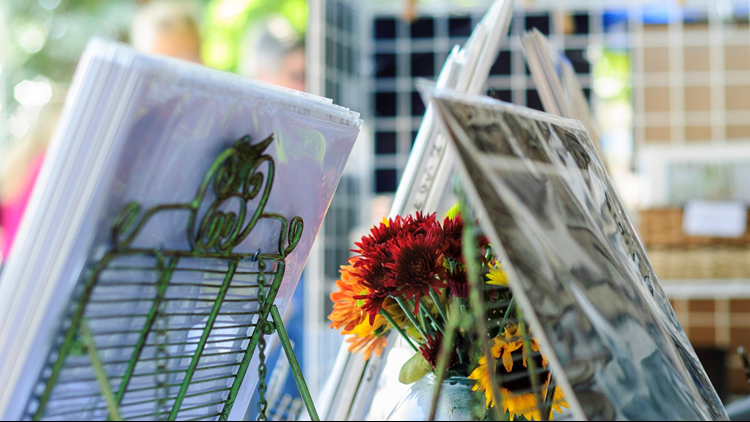 With original art, antiques, jewelry, clothing, handmade goods, home décor, outdoor furnishings, food, plants and more, Vintage Market Days is a unique indoor/outdoor market. The market will open in Colorado Springs Friday and run through Sunday. Tickets will be available at the gate of the Norris Penrose Event Center. Denver Botanic Gardens is hosting its annual Winter Gift Market this weekend. 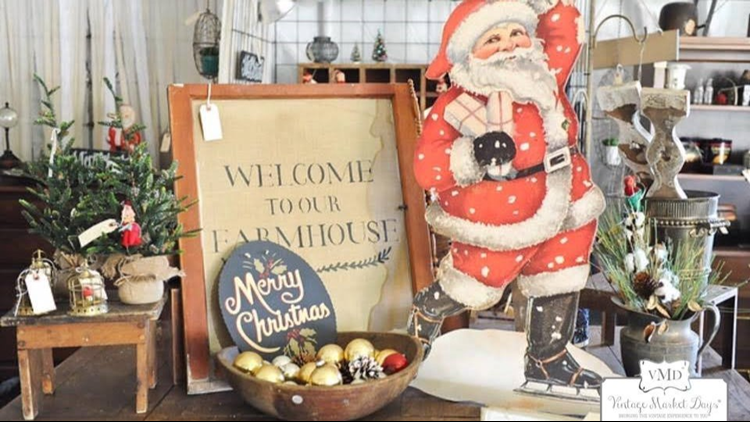 Start your holiday shopping Thursday with one-of-a-kind, handcrafted holiday items, pottery, jewelry, clothing, antiques, food items and more. Denver Botanic Gardens admission is free during the market and members receive a ten percent discount on purchases. The Winter Gift Market is open Thursday to Saturday. The ski and snowboard season in Colorado is officially open once the Colorado Ski & Snowboard Expo arrives. The 27th annual expo is this Friday to Sunday at the Colorado Convention Center with live entertainment, interactive exhibits, ongoing giveaways and extensive winter sports shopping opportunities. Every ticket comes with a GetSkiTickets.com Gift Card, 1-year subscription to SKI Magazine and additional prize sweepstakes entries. Tickets can be purchased at the Colorado Convention Center door or at SkiSnowExpo.com (with a $3 discount coupon). 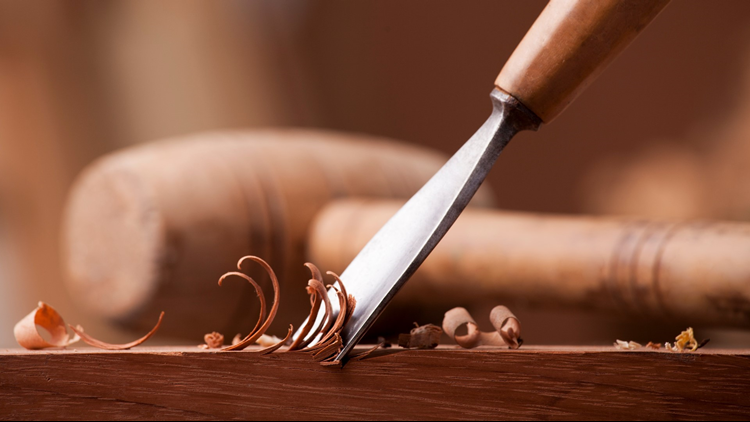 The 26th Annual Wood Carving Show, Sale and Competition arrives this weekend at Loveland's The Ranch Events Complex. The show, held Saturday and Sunday, features wood carving demonstrations, free soap carving for children, a garage sale and silent auction. Presented by Northern Colorado Wood Carver's Club, this show is open to the public. 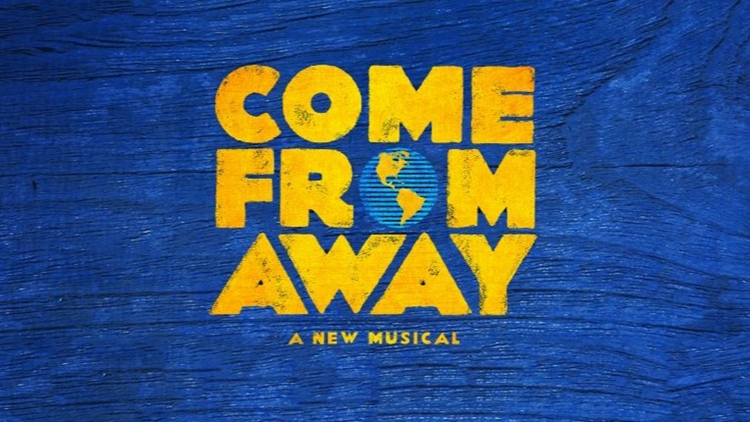 The hit Broadway musical Come From Away is in Denver for a short engagement at the Buell Theatre at the Denver Center for the Performing Arts. Come From Away tells the true story of the small town of Newfoundland that welcomed 7,000 stranded passengers after 38 planes were ordered to land unexpectedly on 9/11. Nominated for seven Tony Awards in 2017 including Best Musical, Best Score and Best Book of a Musical, Come From Away plays the Buell through Sunday, Nov. 25. Tickets are available through DenverCenter.org. America's premier comedian visits the Mile High City this weekend for two stand-up performances. 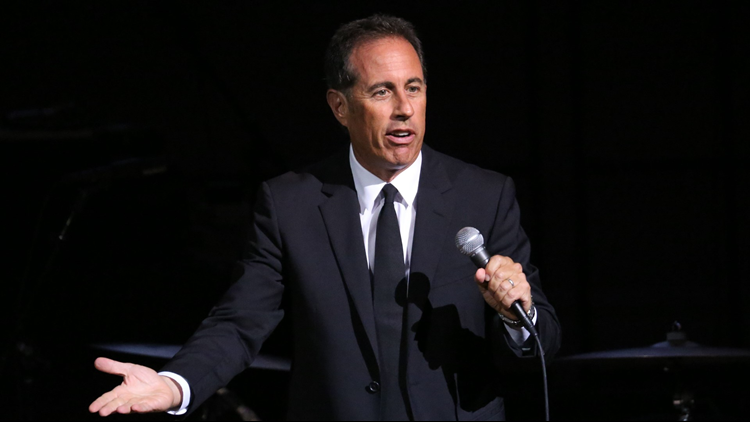 Jerry Seinfeld will perform his signature stand-up comedy routine Saturday at 7 p.m. and 10 p.m. at downtown Denver's Bellco Theatre at the Colorado Convention Center. Tickets are sold at AXS.com. Over 130 artisans will be on hand for this weekend's 41st Annual Applewood Arts Festival in Loveland. The festival, held Saturday and Sunday at The Ranch Events Complex, will offer live music, face painting, free giveaways and food, wine and beer vendors. Kris Kringle will make a Loveland stop at 11 a.m. Sunday. Bigfoot returns! 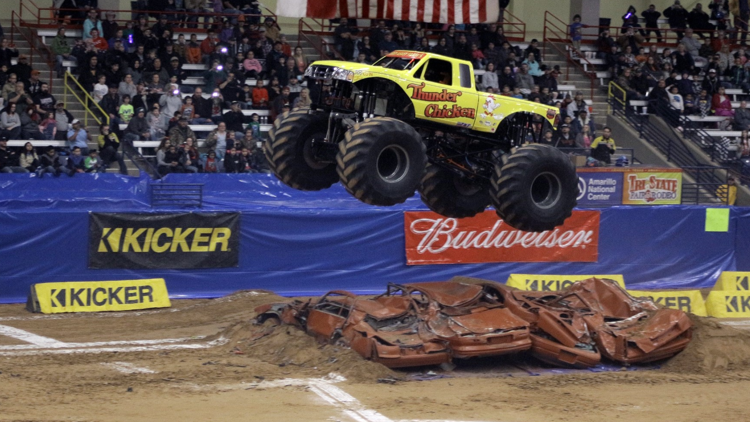 The Denver Kicker Monster Truck Show brings the legendary Bigfoot back to the Mile High City along with some of the baddest monster trucks in the business including Dragon Slayer, Kamikazee, Wicked, Vendetta, Air Borne Ranger and more. The family-friendly, adrenaline-charged entertainment show takes place Friday and Saturday at the National Western Events Center. Grab your tickets at TicketsWest.com. After starting the season 5-0, the Colorado Buffaloes have now lost five games in a row. The Buffs need just one more win to be bowl eligible and they have two games left. 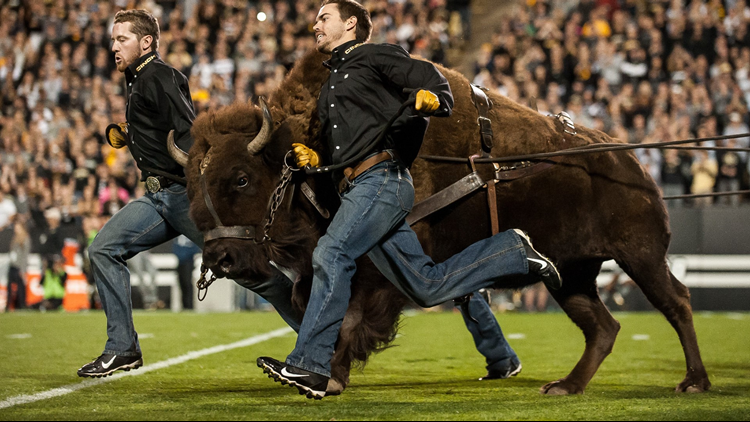 CU's final home game of the season is this Saturday against the Utah Utes at Folsom Field. Support your Buffs and get your tickets now at CUBuffs.com. The Colorado State Rams look to snap a three-game skid when they host Utah State on Saturday at Canvas Stadium. The final home game of the season in Fort Collins will kick off at noon. 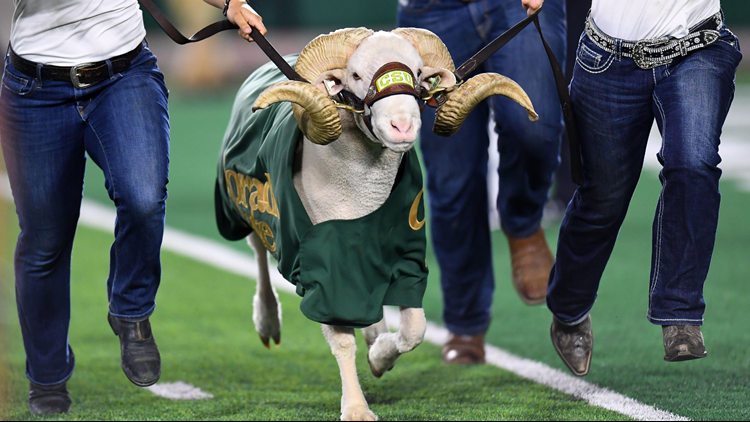 Tickets to see the Rams and Aggies can be found at CSURams.com. The University of Northern Colorado School of Theatre Arts & Dance's newest production opens Thursday at the Langworthy Theatre. 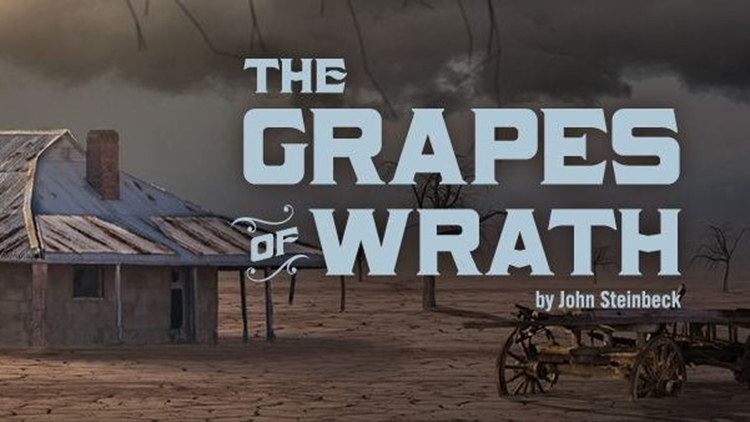 The Grapes of Wrath is the story of a family's flight from the dust bowl of Oklahoma. The tale first achieved acclaim as a novel, then a motion picture and finally on Broadway, winning the 1990 Tony Award. The drama runs Thursday to Sunday. For tickets, head to UNCO.edu. L'Esprit de Noël, Central City Opera Guild's holiday home tour, returns Friday and Saturday for a 42nd year. 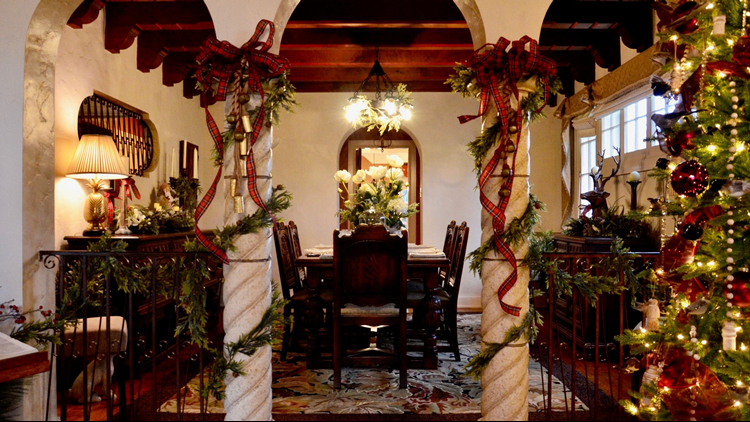 The tour features six magnificent homes in Denver's Belcaro and Bonnie Brae neighborhoods beautifully decorated for the holidays by accomplished florists and table designers. L'Esprit de Noël raises funds to help support programs of Central City Opera including Education and Community Engagement programs. Tickets for this weekend's tours are available at CentralCityOpera.com, by phone at 303-292-6700 or at Colorado King Soopers stores. 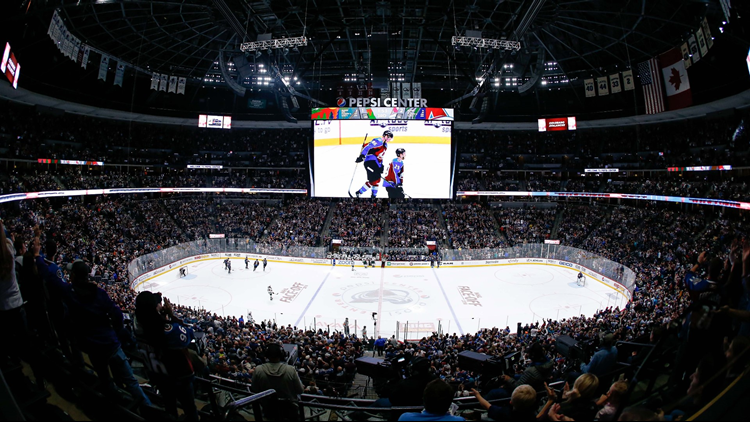 The Colorado Avalanche are back at Pepsi Center on Friday, hosting the the Washington Capitols. Regular tickets and Happy Hour tickets can be found at AltitudeTickets.com. 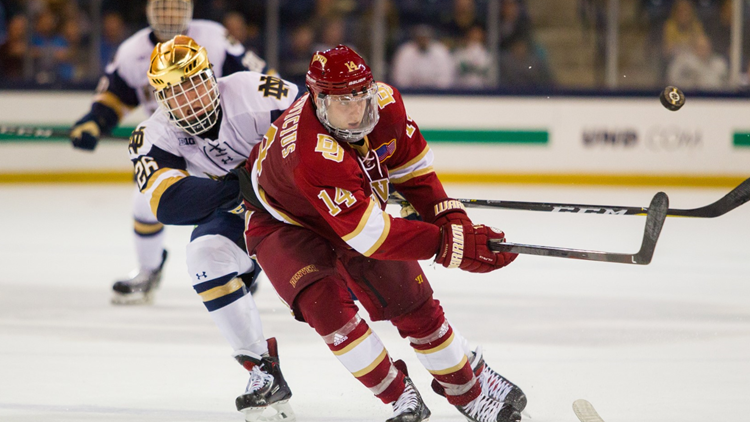 The Denver Pioneers men's hockey team is back at home this weekend after dropping a pair of games to St. Cloud State on the road. DU hosts Minnesota Duluth on Friday and Saturday at Magness Arena. The puck is set to drop each night at 7:07 p.m. For Pios tickets, head to DenverPioneers.com. The Colorado College Tigers men's hockey team looks to break a four-game losing streak this weekend. The Tigers welcome the Miami University RedHawks to Broadmoor World Arena for a two-game series beginning Friday at 8 p.m. The puck drops Saturday at 6 p.m. Game tickets are available at AXS.com. 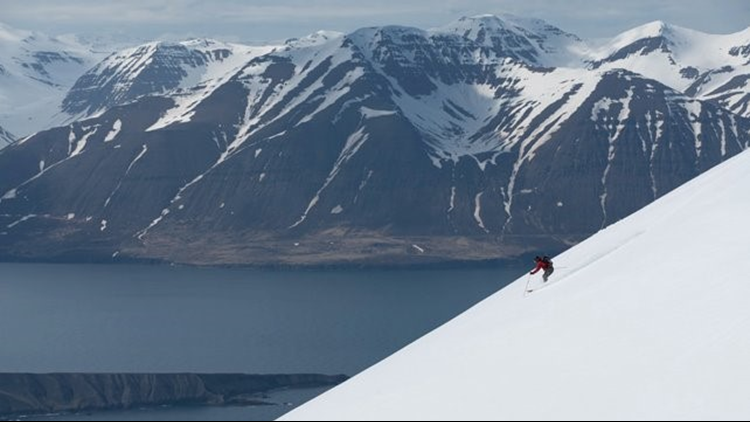 Warren Miller Entertainment is ready for winter and is happy to present its 69th ski and snowboard film, Face of Winter. The new film celebrates the late Warren Miller, known as the face of winter throughout the industry, and honors the places and people he influenced. Athletes including Jonny Moseley, Marcus Caston, Seth Wescott, Forrest Jillson, Kaylin Richardson, Dash Longe, Anna Segal, Michael “Bird” Shaffer and Jessie Diggins visit some of Miller's favorite places from Engleberg to Chamonix, British Columbia to Alaska, Chile, Iceland, New Zealand and more. Six screenings of Face of Winter are scheduled on Friday, Saturday and Sunday at Denver's Paramount Theatre. Grab your tickets at AltitudeTickets.com. 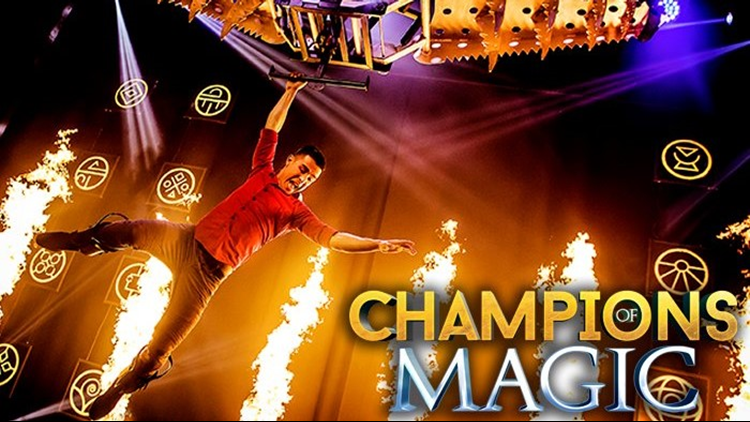 Champions of Magic is coming to Denver this weekend for five performances at the Ellie Caulkins Opera House. The show featuring five illusionists have sold out shows across the globe and just completed a run on London's West End. Champions of Magic promises "incredible illusions with supercars, an impossible escape from Houdini’s water torture cell, a mind-blowing prediction involving the entire audience that has to be seen to be believed, levitation high above the stage and a finale beyond explanation." Performances run Friday to Sunday at the Denver Center for the Performing Arts with tickets sold at AXS.com. Brighton's annual Turkey Trot is Saturday at the Brighton Recreation Center! This 5K run/walk is a Bolder Boulder qualifying race. Registered participants receive a t-shirt and breakfast and are eligible for great prize giveaways. Start time is 8:30 a.m. Saturday. Turkey Trot registration can be completed at BrightonCO.gov.